He’s always on the go and his whereabouts are covered monthly in our newsletter. But who is this friendly hero, Mat Man? How does he help children with handwriting? How can you start teaching children to build Mat Man? Before children start writing, there are important concepts that need to be mastered to make writing easier for the children to learn. These early concepts, or readiness skills, include size recognition, placement, and sequence skills. 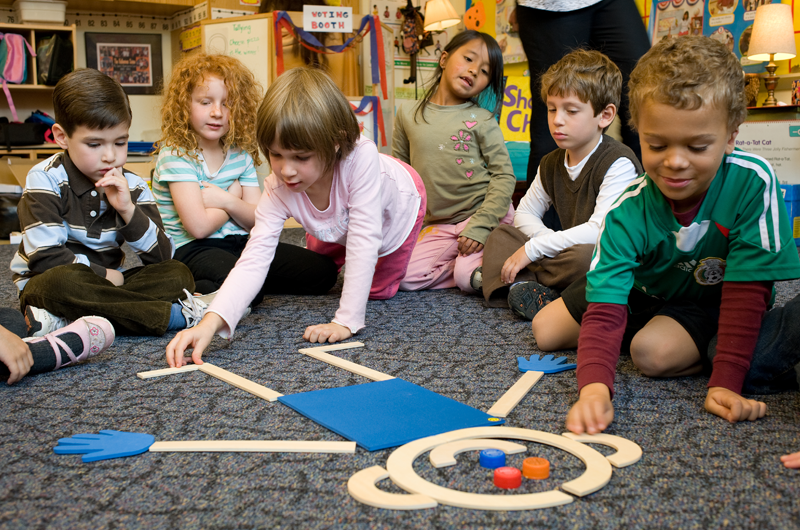 Handwriting Without Tears® and the Pre-k program Get Set for School™ use Mat Man to teach these skills and simultaneously promote body awareness, socializing, and sharing. Here’s how to teach Mat Man to your children. Children sit in a circle as the teacher builds Mat Man on the floor using the Handwriting Without Tears Mat and Wood Pieces, singing the Mat Man song. 1. Teacher gives Mat Man body parts to the children, who then build Mat Man piece by piece, singing the Mat Man song together. 2. Accessories such as bottle caps for eyes and nose, yarn for hair, and fabric for belly button, clothing, etc. make Mat Man more interesting and personalized. 3. Children sit facing teacher as teacher draws a large Mat Man on a board or easel. 4. 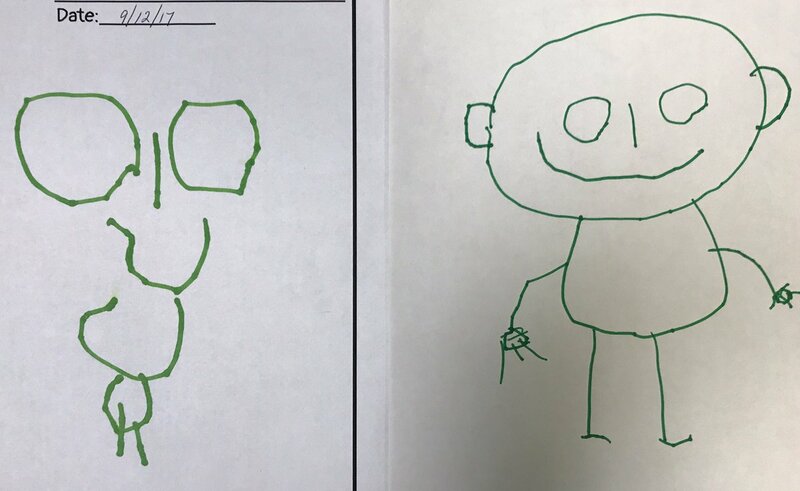 Teacher draws each part in order, singing the Mat Man song. Children take turns drawing Mat Man and adding other details to their drawings. 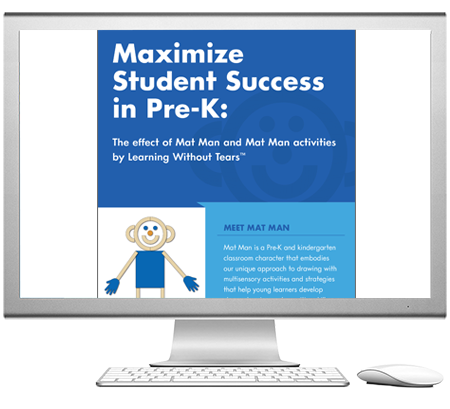 Visit Mat Man World to learn more about Mat Man and how to integrate the lessons into your Pre-K or K classroom.